If you’re looking at the 2014/15 Wasps home shirt and thinking it’s exactly the same as the 2013/14 vintage… well… you’re right. Sort of. 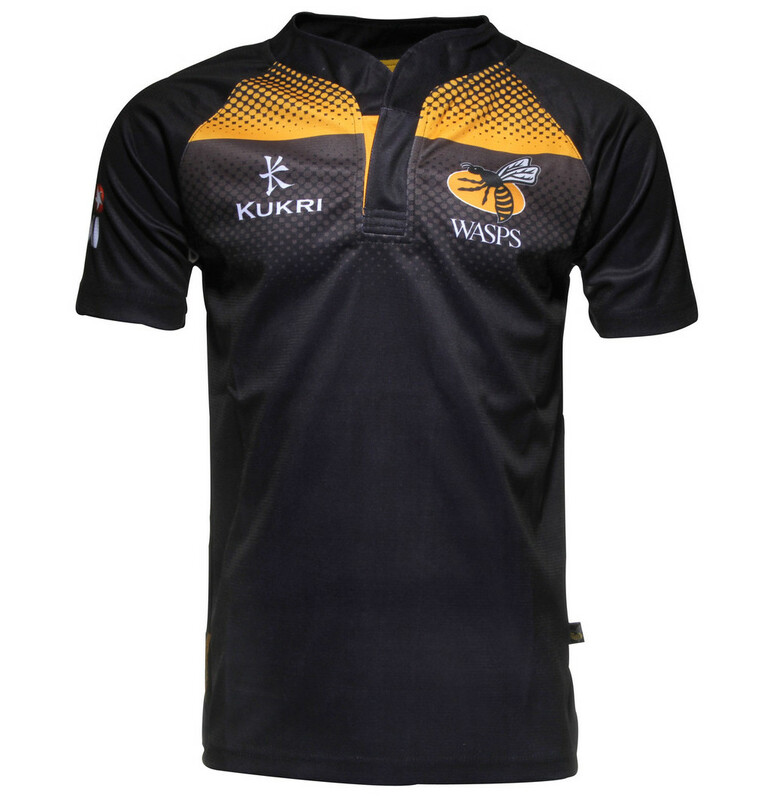 The basic template of the home shirt is the same as what Wasps wore last year, but Kukri has made one interesting change. 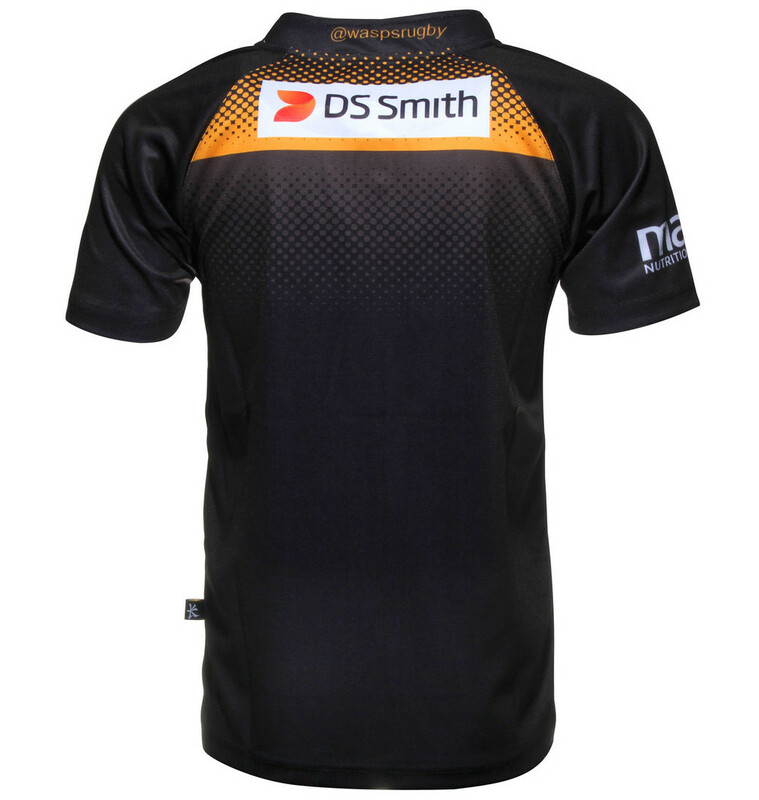 Last year’s design had a very modern ‘loop’-style collar, which we have to say, we really liked – this time around however, they’ve reverted to the more common Kukri ‘New Zealand’-style, also seen on this year’s Ulster shirts. It’s interesting, to us at least, why this change has been made – did the players request the change because they didn’t like the old collar? Was it just Kukri’s preference to produce all of their shirts with the same style of collar? Either way, while this is still a nice shirt, we can’t help but think the new collar doesn’t look quite right – it doesn’t look like it’s been designed to go with the large yellow panel on the chest. If they’d made the collar placket yellow instead of black, it might have looked a little less incongruous, perhaps? It’s not all the same shirt-wise for Wasps this season, however – last year’s rather striking all-yellow away kit has been replaced with something a lot more traditional. Part of us will always hate a Wasps shirt that doesn’t have black and yellow hoops – it’s such a lovely combination, why on earth would you want to go for boring old plain black instead? With that in mind, it’s really nice to see the alternate shirt evoke the spirit of the hoops with these very classy faded pinstripes (quite thick pinstripes, yes, but you know what we mean…). 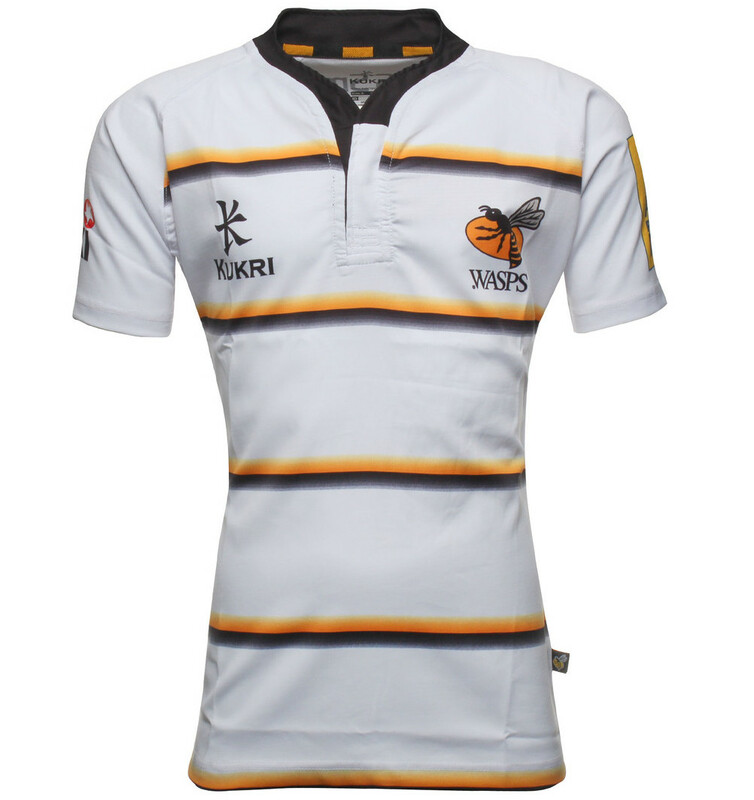 It’s a really lovely design – the yellow, black and white all work really well together, and while we think solid rather than faded pinstripes would look a bit better here, it has a timeless, classic look that we’d happily see Wasps adopt as a permanent alternate design to be extrapolated on. As is the fashion with shirts this year, the hoops don’t carry on around the back, and when you factor numbers, sponsors and all that gaff, it’s perhaps not a bad thing, though it does make the shirt look a little bland from behind. 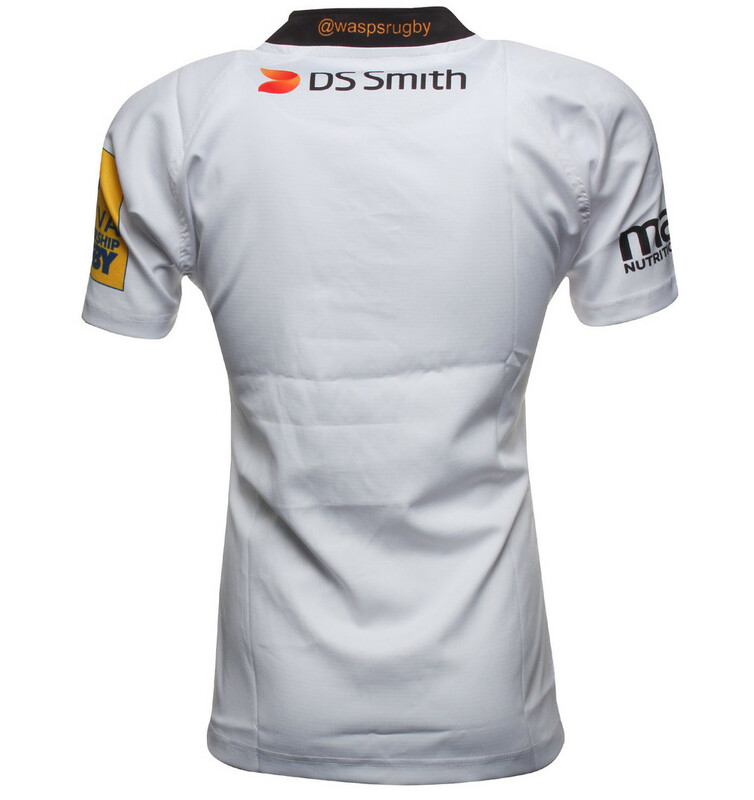 We’ve criticised Kukri in the past for lacking imagination in the past, but you have to say, between the Ulster away shirt and this little number, they’ve really hit it out of the park this season. That said, if there’s one positive to come out of Wasps’ move to Coventry, it’s that we’d like to see the black and gold hoops come back properly next season – no more boring black!